I am the Editor in Chief of my website, TheVogueVibes. A collection of my musings of fashion and music in New York City. I am originally from Long Island, NY. I plan on staying in New York City for a while but would love to live abroad in Europe. My biggest hero is definitely my Mom. She’s so adventurous and has taught me to take risks. She snuck me into my first fashion show when I was 14 years old. I don’t really have a book I would call my bible but I am currently in love with Life By Keith Richards. I absolutely adore him and his outlook on life. I love: family, friends, travel, fashion, coffee, concerts, parties, people with a great sense of humor, the rolling stones, late night talk shows, and exploring the city! I love gold. It’s such a dynamic color. I would have to say Cat Woman because she gets to wear black and leather, all day everyday. Bryant Park will always be my favorite spot in the city, it’s always beautiful whether it’s outdoor movies in the summer, ice skating in the winter, sitting by the fountain, or relaxing on the lawn. I wish fashion week was still at Bryant Park. Great music and people in the same place! If you could live in another era of time, what would it be and why? I wish I could have seen the early 70′s because of the music! 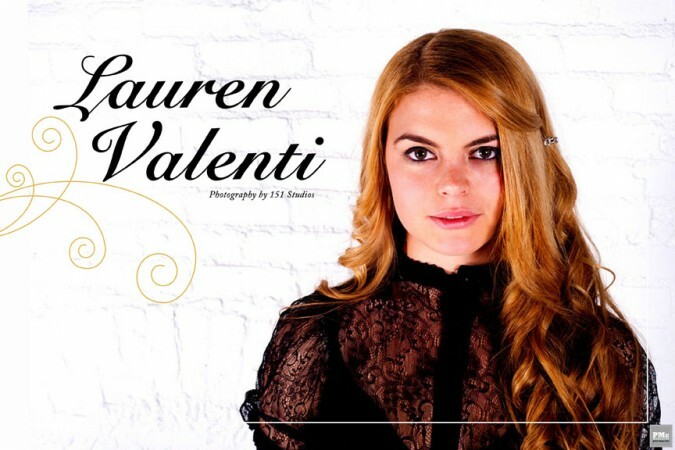 Lauren Valenti is a full time blogger based in New York City. She’s a fashion/music journalist and Editor in Chief of TheVogueVibes.com, where she showcase’s Fashion Week coverage, interviews, concerts, music reviews, parties, news-worthy events, and more!